Home Uncategorized Let’s Go Pick a Pine Tree (or put on your lucky elf hat and maybe you’ll win one)! The lumpy Santa’s face pillow that’s been propped atop my parents’ sofa every December as far back as I can remember. Those things are guaranteed to put me into a mellow Christmas mood. This year, I’m excited to add something new to that list. 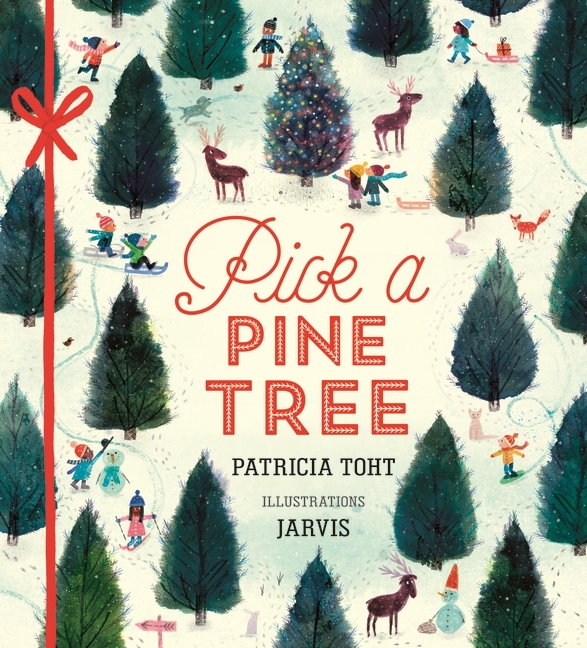 Patricia Toht’s new release, Pick a Pine Tree (Candlewick, illus by Jarvis). I was lucky enough to see the (pretty much finished) manuscript for Pick a Pine Tree when Patty attended my (and friend Linda Skeers’) summer picture book workshop. Reading it gave me yikes-this-is-good goosebumps. So when I learned it had finally been published, I was more excited than your average picture book nut. And I wasn’t disappointed. This one feels like a classic in the making. Just look at this cover. scaly bark, or sappy bumps. Can’t read it wrong, can you? And, when it comes to writing in rhyme, that’s HUGE. Lucky readers/listeners follow along as a cheerful family picks their tree and transports it home, where lots more kiddos show up to join in on a festive decorating party. What goes on the tree? Illustrator Jarvis made the most of every detail Patty gave him to work with, and I don’t know how anybody could read this book aloud and not be made merry. 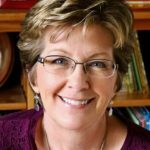 Author Patricia Toht was kind enough to answer a few questions for us. JE: Patty, Pick a Pine Tree comes close on the heels of your first picture book, All Aboard the London Bus, published in May. Could you tell us about your journey to publication? I kept writing, focusing more on craft than submission. Eventually, I had poems that were accepted by magazines, but picture books eluded me. Then two wonderful things happened. First, our family moved to England. Away from many of the responsibilities I had Stateside, I had lots of time to write, and went through a very productive period. The second thing that happened was that the picture book market came back to life again! I met an agent at an SCBWI conference in England who agreed to take me on, and Pick a Pine Tree and its companion book, Pick a Pumpkin, were the first manuscripts we sold. JE: What was the inspiration behind Pick a Pine Tree? How did you settle on a rhyming format? Was it difficult finding the rhythm you wanted to use, or did that feel natural? PT: The initial inspiration for Pick a Pine Tree came from poet Alice Schertle’s books, All You Need For a Beach and All You Need For a Snowman. I adored the rhythms and simplicity of those books, and I thought I’d take a shot at a rhyming “how to” book. The rhythm came quite easily. But my original manuscript was a bit looser, with several points of enjambment, which stop you short in the rhythm. My editor didn’t care for that, and I went through several rounds of edits before we settled on the right rhyme and rhythm. JE: The ART!!! The outdoor scenes practically glitter with snowfall, and the indoor scenes with their golden hues… lovely! The book has a cozy, 50s feel, at least to me. Did you have any say along the way? PT: The art is BRILLIANT! My British editor at Walker Children’s Books (sister-publisher to Candlewick) asked me for ideas about illustrators, but my suggestions were all over the place. I was absolutely no help. Walker and Candlewick editors discussed Illustrators and, lucky for me, they decided upon Jarvis. I love his illustrations! They are so warm and lovely. I think my favorite might just be the “Host a decorating day” spread with the light shining out of the open door. It’s magical! Jarvis also made a wonderful trailer for the book. He will also be illustrating Pick A Pumpkin which will be published in July, 2019. I can’t wait! JE: I’ll be watching for it! Meanwhile, readers, you can WIN your very own copy of Pick a Pine Tree. All you have to do is leave a comment below by December 1st. Good luck to all! 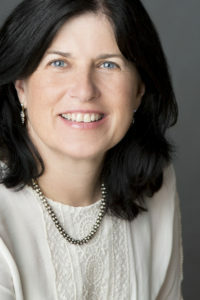 Readers, you can learn more about Patty on her website, here. And don’t miss the book’s very cool trailer. Also, my apologies that our loyal and beloved subscribers received two notifications for this post. My fault entirely. I was FRANTICALLY trying to figure out how to cancel that first one, believe me, after tripping the feed by accidentally setting the timer for Oct rather than Nov. Picture Lucy and Ethel and a conveyor belt of speeding chocolates. Sorry, sorry, sorry. Candlewick, Christmas books, Jarvis, Jill Esbaum, Patricia Toht, Pick a Pine Tree, picture books, rhyme. Bookmark. This sounds like such a wonderful book about tradition! Excited to hear there is a companion book! Thank you, Amanda! PICK A PUMPKIN seems so far away, but I know time will fly, and 2019 will be upon us. This book sounds awesome. I love Christmas so I love Christmas picture books! Congrats!!!!! Thank you, Debra! Christmas is my favorite holiday BY FAR! 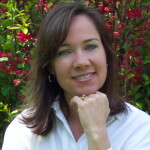 Thanks for sharing your publishing journey. I purchased your London Bus book and absolutely love it, having traveled to London quite a bit. I hope it gets in all the souvenir shops (the nicer ones, like by Tower Bridge). Can’t wait to read your new one! Oh, I’m so happy to hear that ALL ABOARD THE LONDON BUS reminds you of your London visits. I miss living there! I agree that the gift shop by Tower Bridge is a lovely one – and you certainly can’t beat those views! I hope you like PICK A PINE TREE as well. Patricia, you certainly are having a great year. Congratulations. This book looks terrific. It has indeed been a dreamy year, David! Thanks! This book is adorable! And I love hearing authors’ stories about the road to publication. Thanks and congratulations! 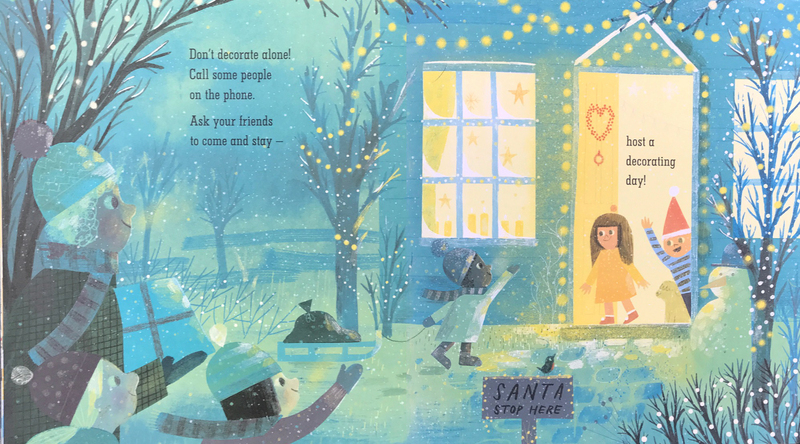 This looks like a beautiful addition to the treasure trove that is Christmas picture books. So glad you rolled with the ups and downs of the publishing business to get this published! Thank you, Laura! There were a few times along the way when I was ready to just throw in the towel, but my brain kept on writing, despite my grumpy moods. What’s the saying? 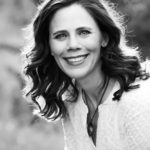 Writing isn’t for the faint at heart? I can’t wait to get my hands on Pick a Pine Tree! I agree about the art work, it definitely has a vintage ‘50’s feel. Thank you, Julie! The artwork is so lovely. I hope you’re able to get a copy soon. The title alone makes me reminiscence about Christmas as a kid! Can’t wait to read this story that will surely bring back all the fun memories of picking out and decorating the family Christmas tree! I have such fond memories of decorating the Christmas tree, too, Judy. Happy decorating! I hope you have a fabulous tree this year. Have fun trimming the tree this year, Judy! This is so cute! Thanks as always for sharing. So glad you stopped by, Tracy. Happy decorating days to you! LET’S GO PICK A PINE TREE is a delightful book. Everything about it, from the story, to the rhyming pattern, and lovely illustrations by Jarvis. I love Patty Toht’s book. Suzy, you’re such a wonderful support for your writer friends. 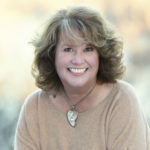 Thank you for your kindnesses during my writing journey! The snippets of the book are great but I love the trailer and what you could show us in 29 seconds, well done!! thank you. Oh my gosh, Terri, I love the trailer so much! Jarvis has experience doing animation, so he took charge and came up with this sweet gem. I’m always looking for a new Christmas picture book to add to my shelf of classics. This looks like a winner! Thank you, Kathy! I hope PICK A PINE TREE earns a spot on the shelf with the Christmas books. 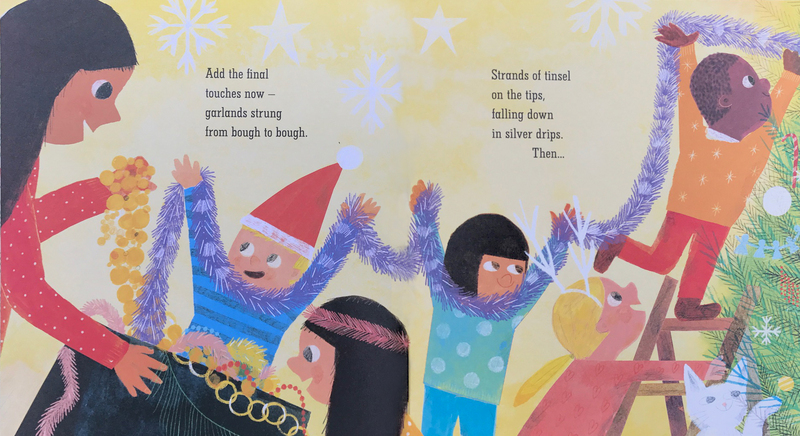 Just reading parts of the book with its wonderful illustrations puts me in a festive mood! Congrats! The Christmas spirit came early this year for PICK A PINE TREE, Danielle, and I’m happy for that! Thank you! This looks fantastic…thanks for sharing! ps…Jill, your description of you trying to cancel sending out the post early is perfection! Ha! Thanks for popping in, Katie! It made me giggle yesterday when Jill sent out her ‘Oops!’ note – it’s something that I know I would do, too. Sounds delightful and perfect for my Christmas book giving list! Thanks, Kathleen! Sounds like you’re making headway on those Christmas gifts – I’m a bit jealous of your organization! I was already excited for this book, but I’m even more excited now. It looks magical. Congrats Patricia! I love this book! The rhyme, the scenes, the details, the artwork, the JOY of picking the perfect tree — every aspect of it works together beautifully! Santa should bring everyone a copy! Linda, you and Jill were part of the groundwork for this book, and I’m grateful. I received such wonderful advice and support at your Iowa workshop, and that helped to make this book as special as it is. Thank you! This book looks fantabulous! PLEASE pick me! Pick me! Haha, Jean! That’s the spirit! What a beautiful story. Thanks for sharing your road to publishing with us. Thank you, Heather. We all travel different roads, but carry the same spirit of love for children and children’s books! This is so lovely. Congrats, Patty! Thanks, Lori! It’s been a great year to have a debut picture book! Loverhyming books. This sounds wonderful! Thank you, Rosemary! I hope you enjoy it. Wonderful interview. Pick a Pine sounds adorable! Thank you for sharing it. Thanks, Linda. Glad you stopped by! This looks like the perfect book for this time of year in Minnesota! Brrr! Stay warm in Minnesota while your hunting for your tree! Pat’s book is wonderful! And such a beautiful cover. Thanks, Kathy! When the book arrived and the cover had BLING, I was squealing like a little kid. So shiny! This is fun rhyming text to read out loud. The art is so warm and inviting. Makes me want to decorate my tree now. I enjoy reading it aloud to kids, Danielle. Happy decorating this year! I’m hoping to get to my tree sooner rather than later! This looks adorable! And those illustrations-lovely. I am sucker for a tree book. 🙂 Congratulations. Thank you for sharing your publishing journey. I’m so lucky that Jarvis was chosen to illustrate this book, Elizabeth. Thank you for your support! I am such a fan of Candlewick Press! I love the idea of this book! Thank you for sharing it with us! Candlewick is a wonderful publisher, as is their UK sister, Walker, Jen. They publish terrific books and are very supportive to their authors and illustrators. Thanks for reading! I got to leaf through a copy at the Nelson Art Gallery gift shop in Kansas City last week and was so taken by the total book experience — the rhyme, vocabulary, and illustrations. And that cover! This one may have to go under the tree for ME. This book looks just perfect! What a great coffee table read for the upcoming holidays! I sure enjoyed it! I’m glad you enjoyed it, Rhonda! Looks lovely! Thanks for persisting! Thanks, Sharon! One foot in front of the other! This looks absolutely lovely – just requested it from the library. Congrats on your perseverance and success! Thank you, Joanne! I hope it kicks off a merry Christmas season for you. I love this book – especially since I have seen it from the earliest days as one of your writing critique buddies! It is my new holiday classic gift — it really is the perfect gift for any holiday hostesses to supplement their own (children’s or grandparent’s) libraries. In the midst of the holiday whirl – everyone needs to pause and read a good book to a little friend. And this is it! Congrats!!! Thanks, Eileen! Today is Thanksgiving and a perfect time to say “thank you” for your helpful critiques. I need the editorial feedback of my pals to make my writing better! Pick a Pine Tree will be a classic. Can’t wait to read the entire book. Thanks, Claire! Reflecting back on years of tree decorating made this a fun book to write! Can’t wait to read it. Poems and pine trees, two of my most favorite things. Thanks for the backstory, always inspiring. I love Christmas, the smell of fresh cits trees, and the sheer jou of picking your own tree from a farm! Can’t wait to read this one and explore the rhyme! Congrats Patricia on a beautiful book. Yeah Jill, fun to see books from Whispering Woods alumni. Here’s toast more. Christmas is a special time – so glad it’s a favorite time for you, too, Maria. Thanks, fellow Whispering Woods alumnus! This looks like a really sweet Christmas book – can’t wait to read it! Thanks, Lynn! I hope you enjoy it. One can never have enough great books for the holidays! Christmas books are a favorite of mine, too, Amy! I love the bouncy rhymes! Thank you, Tina! Are Christmas trees a tradition in South Korea? What a beautifull journey! Would be nice to add to class library. Thank you, Carolyn! I just did a storytime with first graders and we had a blast – I hoe you have the chance, too. The cover makes me want to open the book, and the sneak peeks you gave just sold me on it. It really does look like an “evergreen” book! I love that idea, Brenda! An evergreen book! Thank you. I can’t wait to pick Pines trees and pumpkins! Good luck with these! Thanks for your post! It’s an informative and inspiring interview! I just love this book! Congratulations!!! The rhymes you quoted sound fantastic— can’t wait to read/see the whole thing! Thanks, Jill! I hope you have a chance to peek at it soon, Jennifer! This wonderful seasonal rhyming book would grace any coffee table! So, thank you to Jill who put rhymes in my day. I hope that I win. If I don’t it’s okay! I’ve read this lovely book! It’s awesome! Congrats Patty! I love the concept and the rhyme is fun, fun, fun! If I don’t win, I will definitely be buying! I also just read that I won a copy of Frankenbunny! Yay! I hope I didn’t miss an email about this. I just noticed that something has been going on with my email and many of my favorite blogs and emails have been going right to junk! Ugh. Trying to fix the problem…Thank you! Ooh! Thanks for sharing, ladies. Yesterday, it was 75 degrees in Oklahoma, but reading THIS has helped put me in the holiday spirit. It looks like an adorable book. I can’t wait to read it. Pick a Pumpkin sounds like so much fun as well.